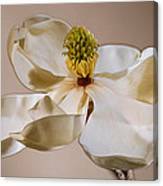 Kirk, your flower photographs are amazing! 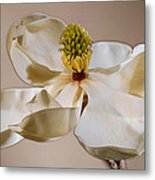 Magnolia Grandiflora open bloom with creamy porcelain saucer like petals set before chocolate copper colored background. 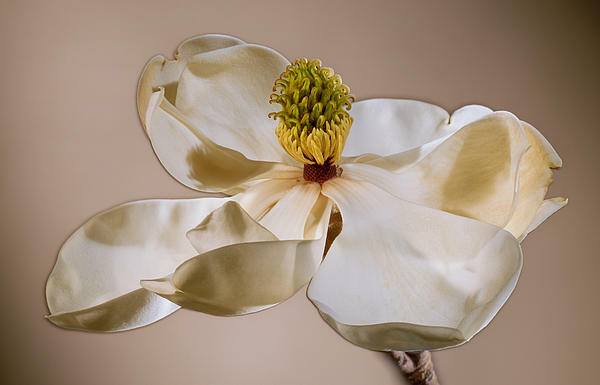 This floral art image was created with special finesse lighting and exposure in the studio. My work is created the "old school" analog way, just lights, camera & film; absolutely no digital manipulation whatsoever. What makes this work unique is the way I use the lighting and exposure to sculpt the shape, accentuate the texture, and saturate the color. This art piece is part of a very limited edition of 15 signed and numbered pieces printed on the metallic, luminous and archival cibachrome or fujiflex and flush or float mounted on brushed aluminum metal plate.